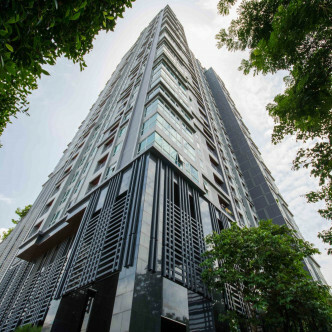 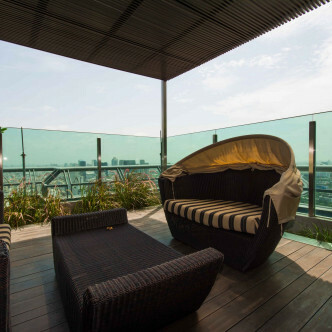 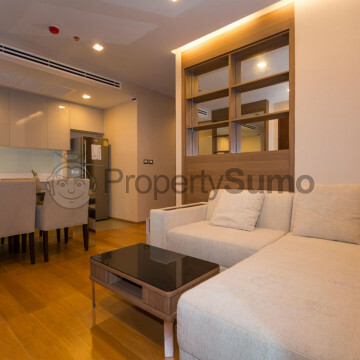 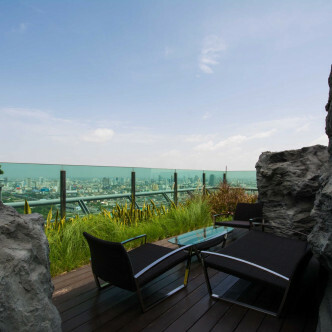 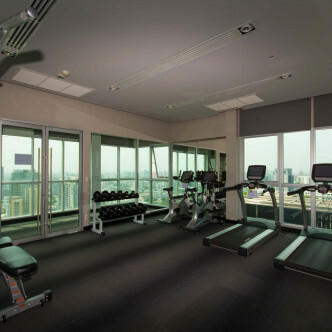 The Address Asoke is a modern luxury condominium that was completed in 2012. 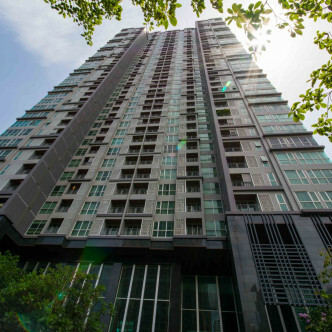 This building features a total of 574 units set on 44 floors and the building commands impressive views of the heart of Bangkok. 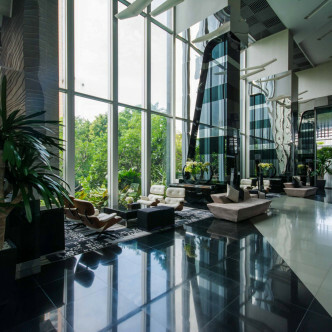 The Nature Embrace Lobby is particularly striking and offers residents a lush welcome as soon as they step inside the building. 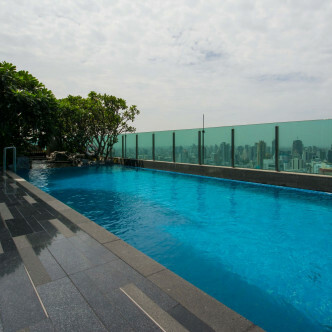 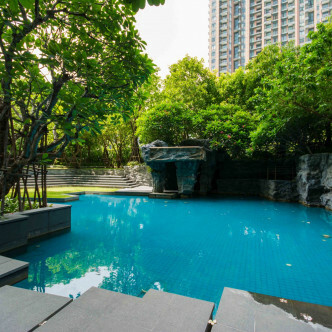 A large selection of shared facilities can be found on the 9th floor and the 44th floor and residents can make use of two large swimming pools as well as a luxurious hot spa, sauna and steam room. 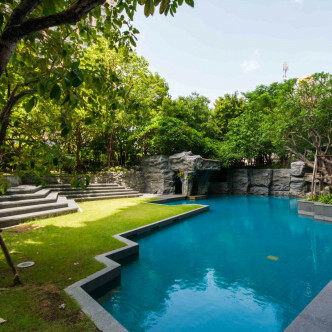 The large garden is a great place to unwind, while the kids can make use of a special kid’s pool and children’s play area. 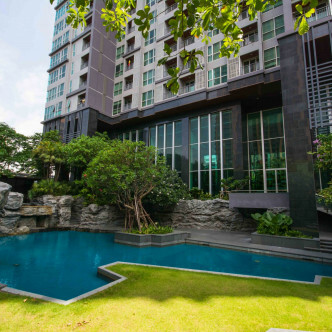 People who want to recreate their Western lifestyle in Bangkok will find that The Address Asoke offers the perfect location. 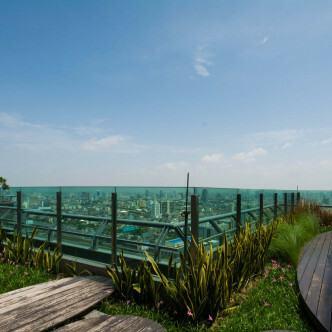 There are numerous Western-style restaurants and bars to be found in this area where expats can be to unwind in style, while the Airport Rail Link is situated directly opposite the building.